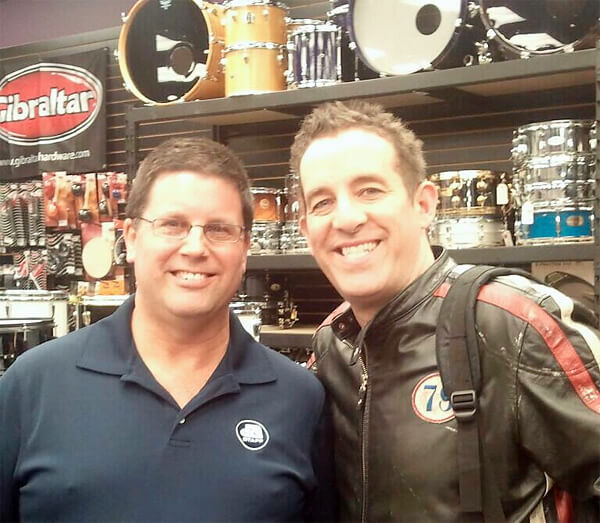 Drum Corps International event staff member Russ C. visits with Rascal Flatts drummer Jim Riley before a concert in Columbia, Mo. Did you know that Jim marched quads with the Velvet Knights back in 1989? The DCI Championships were held in Kansas City, Mo. that year!